If you have ever wondered what is involved in gliding, check out this video. Have you ever watched a buzzard lazily soaring and circling ever higher… and wished you could do the same? Ever ridden a rollercoaster and yearned for something more exciting? Ever seen a sleek and narrow-winged plane keeping itself in the air without an engine and wanted to defy gravity yourself? Try gliding! Buy a voucher today. Ideal gift for adventurous people for Christmas, birthdays or just for fun – valid for 12 months. Or treat yourself if it’s always been on your bucket list! 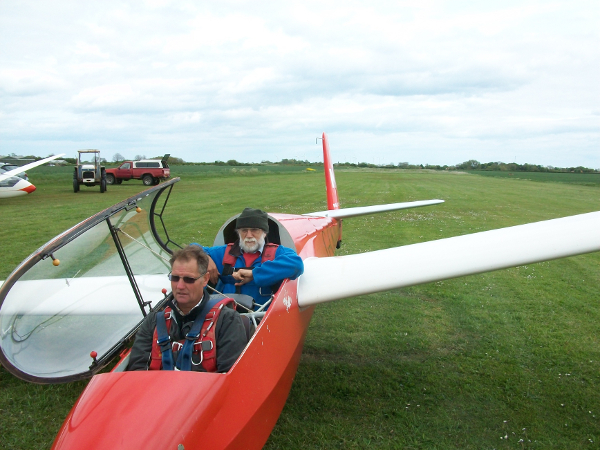 Gliding is a hobby open to all ages and abilities – trial lessons are available as a one-off experience or to start you on an activity that could last a lifetime. We fly most Saturdays, Sundays and Wednesdays, although there are occasional changes driven by the weather or instructor availability, so it is always worth contacting us or checking the calendar before travelling – particularly during the winter season. LGC Ltd is a non-profit making club, run by and for members.